Prosecutors say agents witnessed drugs handed out through a window at an apartment in Oakland. 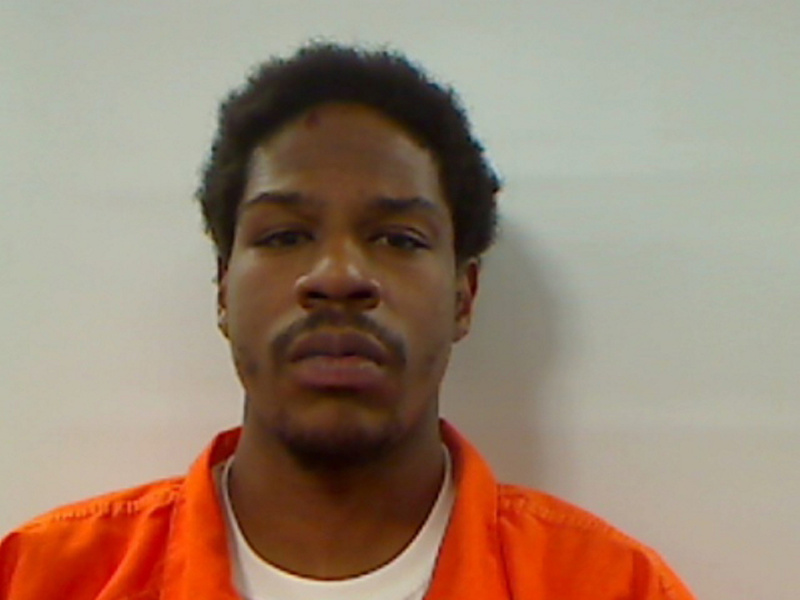 AUGUSTA — A New York City man was sentenced Tuesday to seven years in prison for selling heroin in Maine. Kendell Cagle, also known as “Gudda,” 28, of Manhattan had pleaded guilty to one count of aggravated trafficking in heroin that occurred Jan. 21, 2016, in Oakland. In exchange for that plea, five other counts of aggravated drug trafficking in heroin, all on different dates that month, were dismissed by the state. Tuesday’s hearing was a continuation of one that began Thursday, also at the Capital Judicial Center. Cagle was also fined $400. When Cagle pleaded guilty on June 8, both his attorney, Jonathan Handelman, and the prosecutor, Assistant Attorney General Katie Sibley, agreed to cap the prison term at eight years. On Tuesday, Sibley said Cagle should spend all eight years in prison. Handelman asked that half that time be suspended, with Cagle placed on probation for three years. A conviction on the charge carries a minimum mandatory four-year imprisonment. However, Justice Michaela Murphy told the attorneys that the sentence would need to be longer than eight years if some of it were to be suspended. The attorneys and the judge spoke in chambers on Thursday, and then the hearing was reset for Tuesday so Handelman could speak with Cagle, and the seven-year sentence was jointly recommended to the judge by both the prosecutor and the defense attorney. Sibley told the judge that Cagle was “asking for a third chance.” He was convicted July 16, 2013, in New York of selling narcotics there and sentenced to a year in prison. Sibley said Cagle apparently served eight months behind bars. She told the judge that out-of-state residents are bringing illegal drugs to Maine because the profits can be double or triple than they are elsewhere. She said Cagle knew what would happen if he brought drugs here. Sibley said Cagle was found with 88 grams of heroin in one bag and five grams divided between another 21 bags. Sibley said probation was not appropriate for Cagle because he has no substance abuse issues himself. “People with substance abuse issues should receive probation services,” she said. Handelman sought a shorter period behind bars, saying that Cagle had been “witness to violence and criminality and loss at a very young age.” Handleman said Cagle dropped out of school and took up selling marijuana, making very little money. Handelman argued that probation would help Cagle and ensure that he was doing the correct things. Handelman said Cagle has been jailed “with people who were literally his former customers” and that Cagle told him he “saw the wreckage” caused by the drugs. Cagle is taking steps to get a general equivalency development diploma and wants to get into a legitimate trade, Handelman said. “Really what we’re asking for is a sentence of under five years to keep him in Windham rather than Warren,” Handelman told Murphy. Prior to Cagle’s hearing on Thursday, Cagle’s co-defendant, Shayna Shaw-Jenney, 25, of Oakland, was sentenced to an initial one year behind bars, with an additional four years suspended. She was placed on probation for three years, with conditions that prohibit her from having contact with Cagle. She was fined $400.